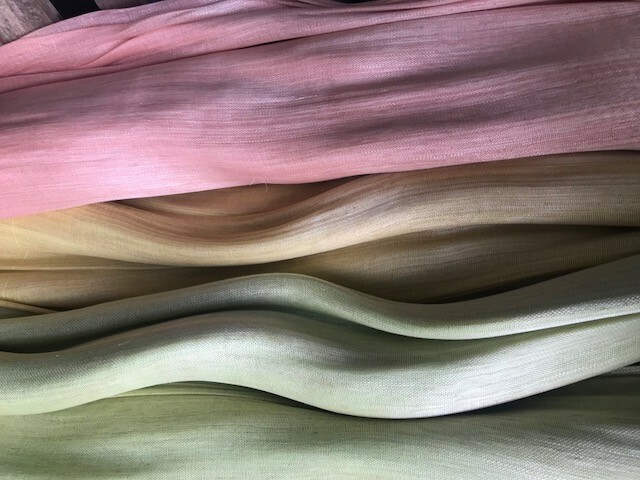 ABACA SILK FABRIC, MADE WITH THE FINEST ABACA FIBRE. COMES IN ROLL OF 25 METERS LENGTH AND 90 CENTIMETRES WIDTH. AVAILABLE IN MORE THAN 8O COLOURS. ITALFIL EXPO BAGS CO., LTD..